Dr. Sally Dominick joined our research team in September 2012 as the Project Manager of our studies. 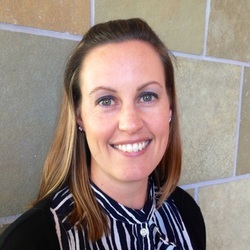 She has worked in the area of cancer survivorship since 2008 and graduated from UC San Diego with a PhD in Public Health in 2013. She received her MPH from Oregon State University in 2006. In her leisure time, she enjoys the sunshine, hiking, barre workouts, and reading novels.